While introducing your baby to solid and best foods, there is no hard and fast diet plan that you must stick to. Depending upon the part of the World you stay in, you can pick a variety of grains, pulses, fruits and vegetables to feed your child. 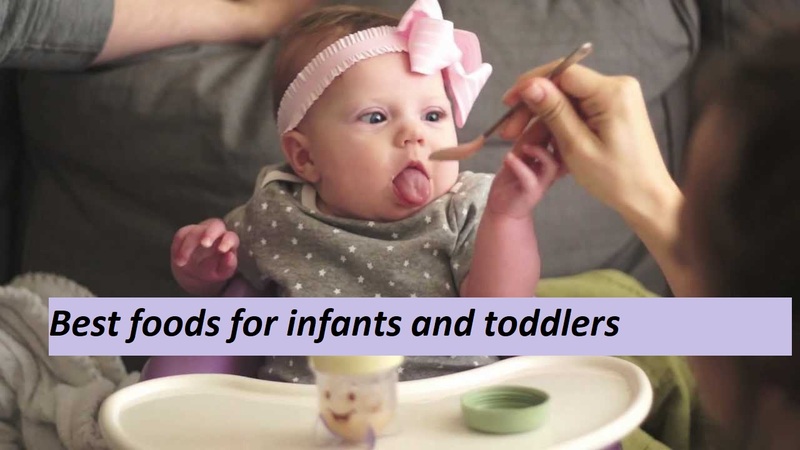 Let us look at some of the best foods for Infants and toddlers. If you need some clues for some nutritious yet tasty options to introduce your baby to solid food, this post is for you! Kids like colours so having something that looks bright and attractive would lure them into trying it. 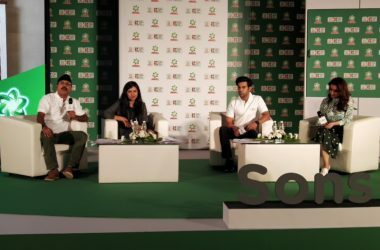 In India, kids are mostly introduced to solid foods at the age of Six months or so. They do not have back teeth by this age therefore, you have to consider the texture of the food. Soft, easy to swallow and mashed foods are their best bet. For toddlers who have most of their primary dentition in place, you can surely include foods that are easily chewable. Introduce your kids to a variety of flavours so that they do not turn out to be fussy eaters, late in life. The first and foremost reason to introduce your baby to Bananas is because they are very easy to swallow in pureed form and are sweet, too. Your baby would love to eat them. You simply need to puree a fully ripe Banana with expressed breast milk or formula milk to achieve a thin consistency. Let your baby relish the sweet treat. Bananas are great for babies since they are high in Potassium, Calcium, Iron, Copper while being low in Sodium. Bananas are easy on the stomach and easily digestible for babies. Other fruit purees that can be fed to the baby are Apple puree, Pear puree and Mango puree. You need to cook Pear and Apples in a pressure cooker, puree and strain them before feeding these to your baby. Mango can be pureed directly and given. calcium, iron, magnesium, potassium, phosphorus, zinc. Moong dal is easy to digest. 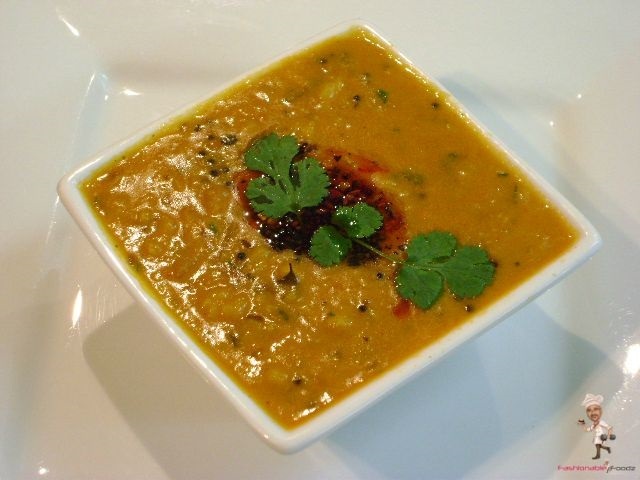 You need to cook the dal in a pressure cooker with very little Salt and Turmeric. 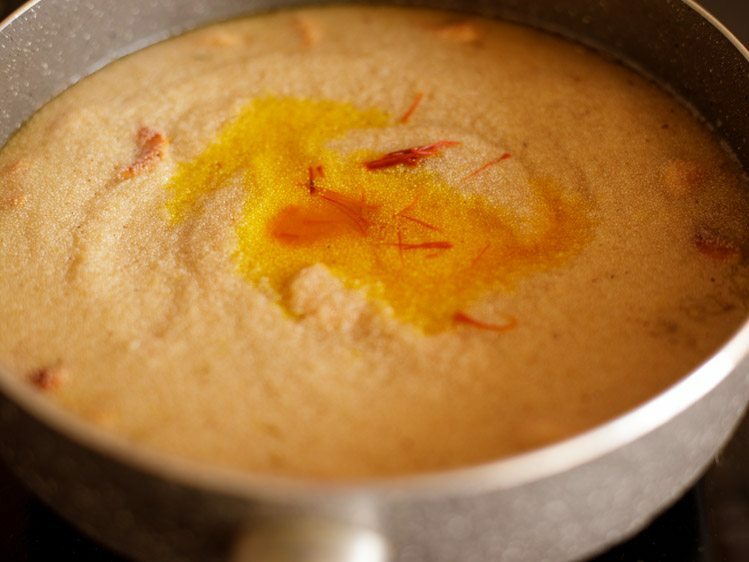 Use a blender to mash the cooked dal. Make sure the consistency is thin and easy to swallow for your baby. For extra flavour, you can add a little Ghee and a dash of Lemon juice. 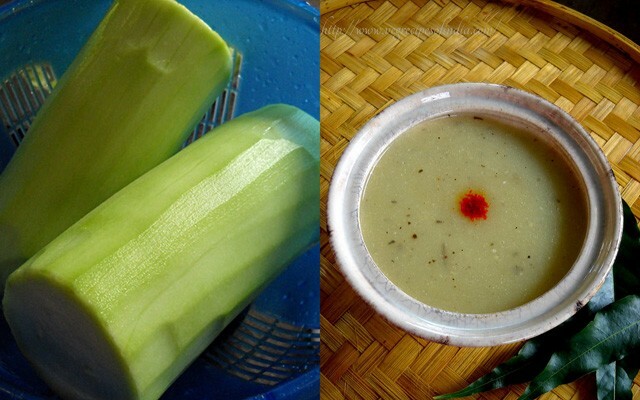 You need to cook bottle gourd in a cooker till it is very tender, puree it using a blender once cool. Pass through a strainer. You can add a bit of salt and pepper to avoid feeding your baby completely bland food. However, even if you completely skip salt there are chances that your baby would still accept the food. Babies need very little quantities of salt till they are 1-year-old. They actually require only less than 1 Gram salt per day. Later on, as your baby grows, you can add Tomato tadka to pureed Lauki. Lauki would be a good choice to introduce your kids to veggies. Bottle Gourd is good for babies and toddlers because it is rich in various Vitamins and minerals. It is easy to digest by the baby’s developing digestive system. It acts as a natural laxative and reduces stomach acidity. Other veggies that can be introduced to the baby without hesitation are Pumpkin puree, sweet potatoes and pureed carrots. Sooji is high in good carbohydrates and fibre. It has plenty of Thiamine and zeroes cholesterol. Sooji or Rava is prepared during the process which involves the grinding wheat to wheat flour. It is easy to digest and swallow. It has mellow flavours that your baby and/or toddler would surely enjoy. You need to roast some sooji with a little ghee. Once, it is Golden Brown, add boiling water with continuous stirring to prevent lump formation. Add a little Elaichi powder for flavour. You can also add very finely ground Almond/Walnut powder to raise the nutritional value of the Sooji halwa. 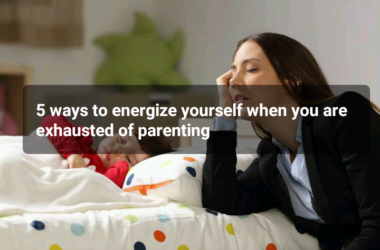 Keep the consistency runny so that the baby can easily swallow. To thin out the consistency, you can add some formula milk to the preparation, as well. Sauté some Oats in a little ghee on medium heat for three t four minutes. Use a pressure cooker for this. Add some diced Apple and sauté it as well. Add some formula milk to the cooker. Cook for two to three whistles and use a blender to smooth out the mix, once cool. Feed this to your little one. 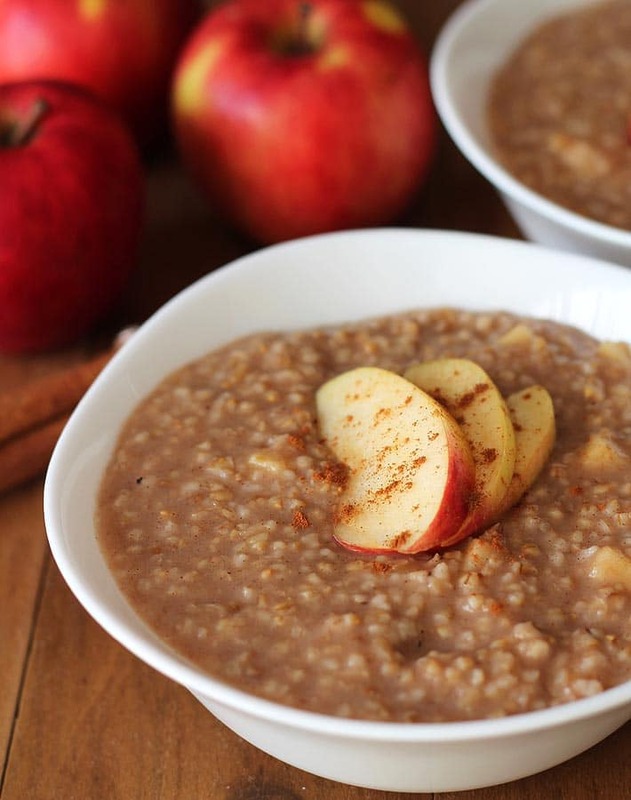 Oats are rich in fibre magnesium, iron and zinc. These are easily digestible and since they are bland, these can be mixed with flavorful veggies and fruits too. Now that you have a fair idea of what best foods are healthy and easily acceptable for infants and toddlers, you must know what needs to be avoided, as well. Nuts, popcorn, Raisins, Grapes, toffee, squares of Chocolates, globs of anything! All these can have choking hazards. Remember only purees and thin consistency. 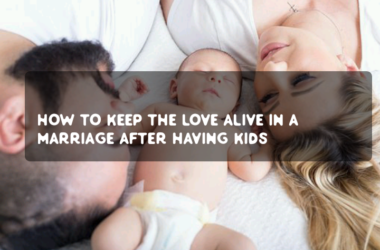 Salt/ Sugar/ Honey: Hold these off as far as possible till until baby is at least one year old. So, readers what were the first few solid and best foods which you introduced your baby to? Let us know in the comments below. Other parents out there would love to read what ideas you have to share. Such yummy options! Reading these made me so hungry! would love to try these out for my niece and nephew. This is helpful for mom’s of toddlers who are always at a loss of offering something interesting that is healthy to eat and simple to make. That is a lovely article. Very very helpful for new mothers. The list of foods is interesting.